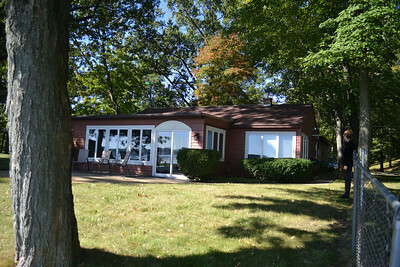 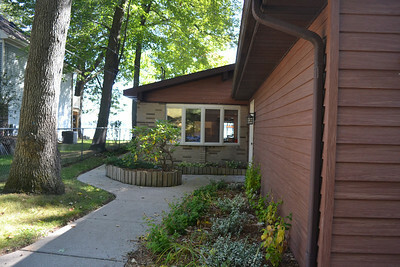 Front of home facing Austin Lake. 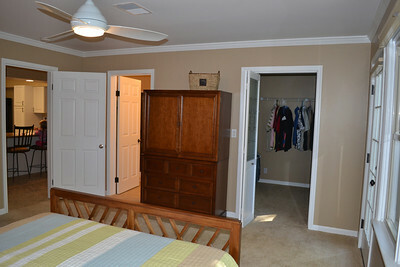 Master bedroom with private bath, walk-in closet, and a secluded side patio. 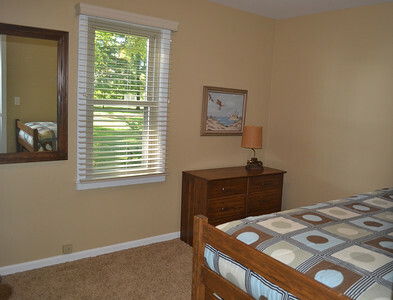 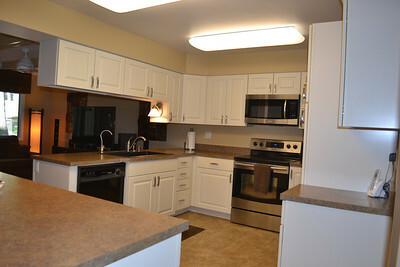 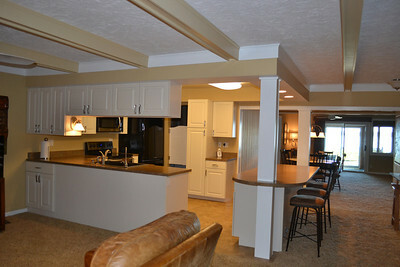 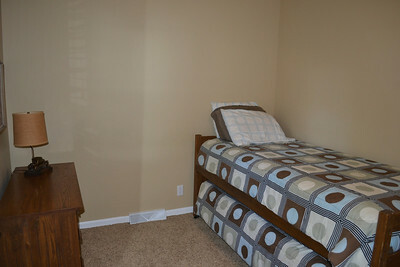 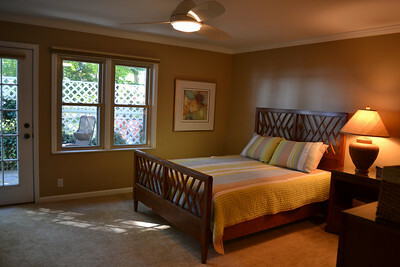 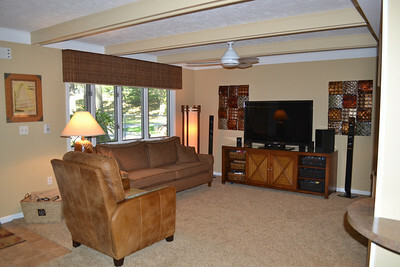 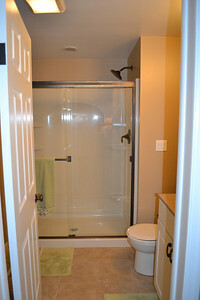 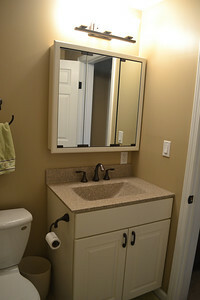 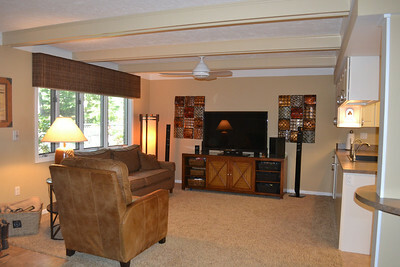 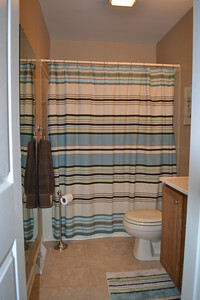 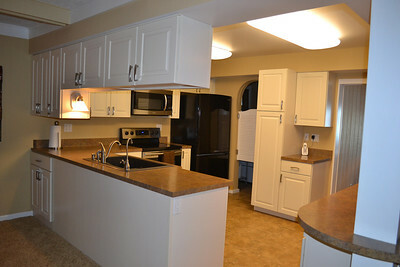 Master suite private full bathroom completely remodeled in 2010. 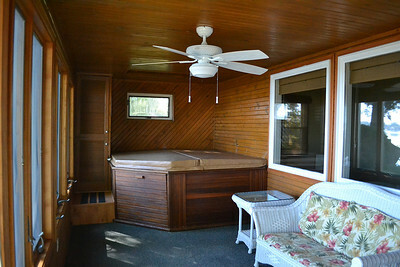 Master suite private full bathroom. 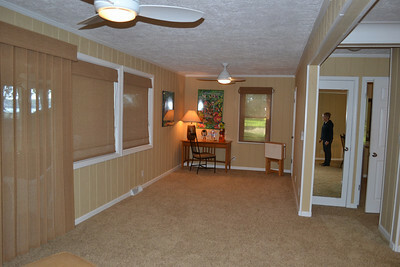 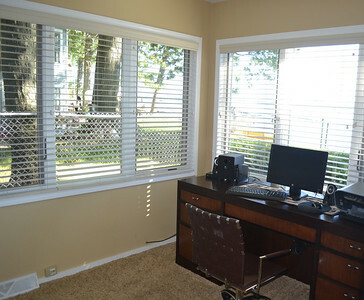 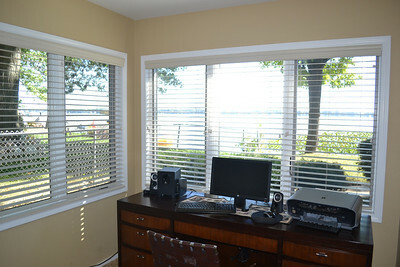 Second bedroom - beautiful naturally lighted room with spectacular views, currently being used as an office. 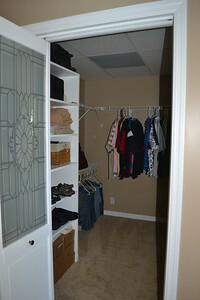 Third bedroom - has large closet. 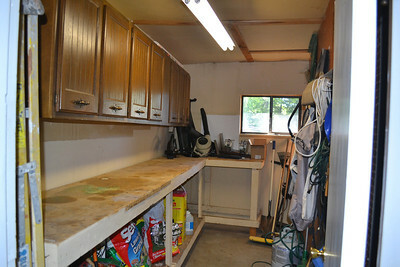 Small workshop along with a 2 car garage. 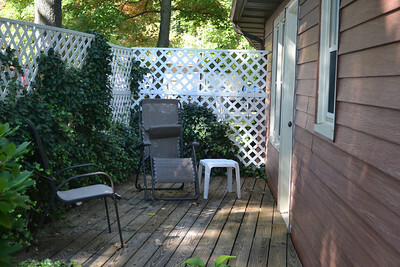 Secluded patio located outside of the master bedroom. 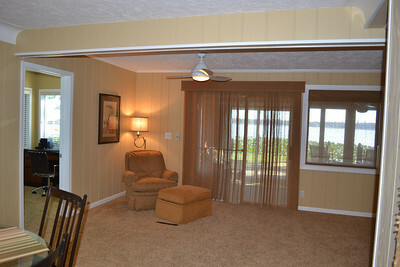 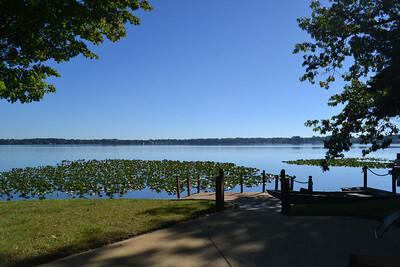 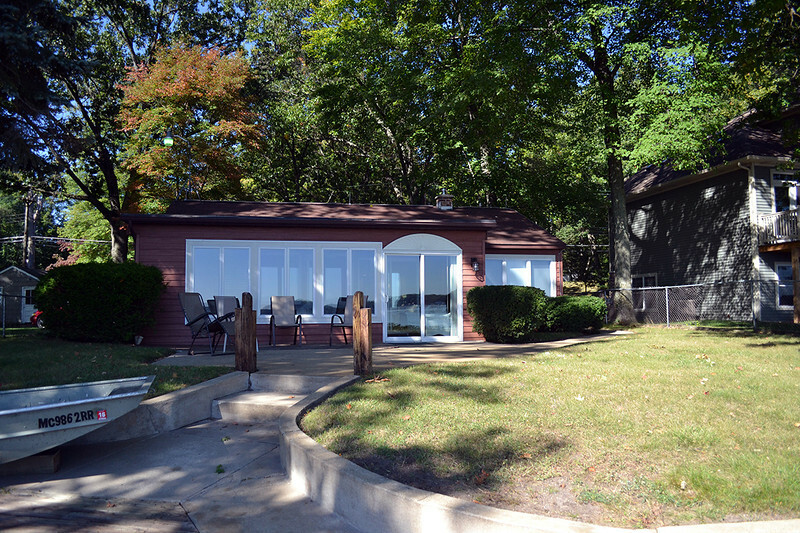 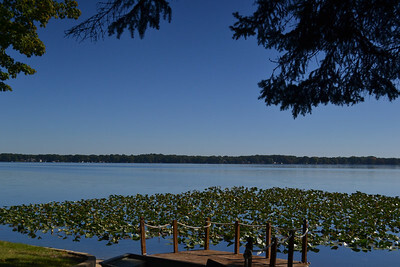 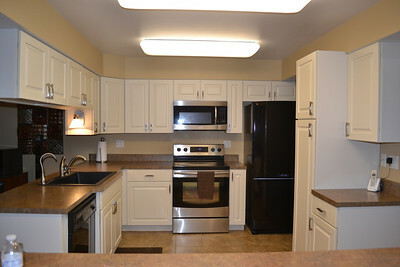 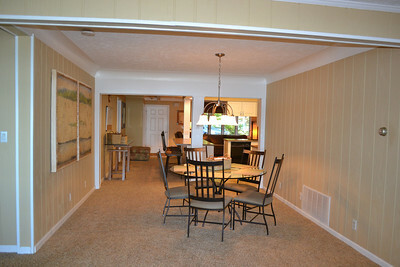 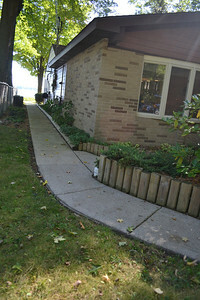 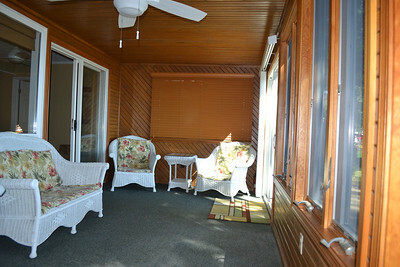 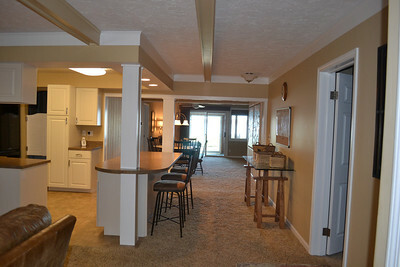 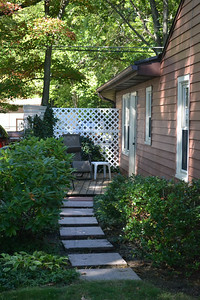 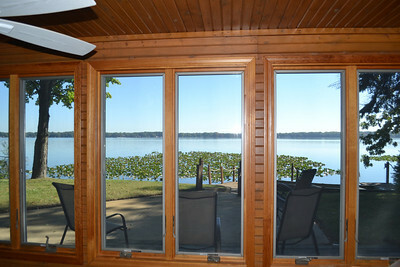 Lakeside view from the front patio or hot tub room - enjoy relaxing in the mornings while watching the sunrise.